Consumption and herbivory levels by Atta spp. Grant Reviewer for: Deutsche Forschungsgemeinschaft (DFG), Alexander von Humboldt Foundation, Czech Science Foundation, The International Foundation for Science, Rufford Foundation, The International Max Planck Research School (IMPRS), Fulbright Student Program. Câmara, T., Arnan, X., Barbosa, V., Wirth, R., Ianuzzi, L. and Leal, I.R. Disentangling the effects of foliar versus floral herbivory of leaf-cutting ants on the plant reproductive success of Miconia nervosa (Melastomataceae). Bulletin of Entomological Research, accepted. Dhodary, B., Schilg, M., Wirth, R. and Spiteller, D. S. 2018. Secondary metabolites from Escovopsis weberi and their role in attacking the garden fungus of leaf cutting ants. Chemistry - A European Journal, DOI:10.1002/chem.201706071. Silva, J. L. G., Silva, I. L. d. H., Ribeiro-Neto, J. D., Wirth, R. and Leal, I. R. 2017. Forest edge orientation influences leaf-cutting ant abundance and plant drought stress in the Brazilian Atlantic forest. Entomologia Experimentalis et Applicata DOI: 10.1111/afe.12268. Stephan, J. G., Wirth, R., Leal, I. R. & Meyer, S. T. 2015. Spatially heterogeneous nest-clearing behavior coincides with rain event in the leaf-cutting ant Atta cephalotes Linnaeus (Hymenoptera: Formicidae). Neotropical Entomology, DOI 10.1007/s13744-014-0267-0. Lakatos M., Wirth R., Spitzley P. & Lederer F. 2012. Der Biosphärenturm - ein innovatives Alleinstellungsmerkmal zur Baumkronenforschung. Ann. Sci. Rés. Bios. Trans. Vosges du Nord-Pfälzerwald 16: 118-129. Ribeiro Neto, J. D., Pinho, B. X., Meyer, S. T., Wirth, R. & Leal, I. R. 2012. Drought stress drives intraspecific choice of food plants by Atta leaf-cutting ants. Entomologia Experimentalis et Applicata 144: 209-215. Silva, P. S. D., Leal, I. R., Wirth, R. & Tabarelli, M. 2012. Spatial distribution and fruiting phenology of Protium heptaphyllum Aublet (March.) (Burceraceae) determine the design of the underground foraging system of Atta sexdens L. (Formicidae). Neotropical Entomology DOI 10.1007/s13744-012-0052-x. Silva, P. S. D., Leal, I. R., Wirth, R., Melo, F. P. L. & Tabarelli, M. 2012. Leaf-cutting ants alter seedling assemblages across second-growth stands of Brazilian Atlantic forest. Journal of Tropical Ecology 28: 361–368. Leal, I. R., Wirth, R. & Tabarelli, M. Formigas cortadeiras e a ambigüidade de suas relações com plantas. 2012. In: Del Claro, K. and Silingardi, H. M. T. Ecologia de Interações Plantas-Animais. Uma Abordagem Ecológico-Evolutiva, p. 217-239. Technical Books Editora Ltda., Rio de Janeiro. Colesie C., Scheu S., Green T.G., Weber B., Wirth R. & Büdel B. 2011. The advantage of growing on moss: facilitative effects on photosynthetic performance and growth in the cyanobacterial lichen Peltigera rufescens. Oecologia. DOI: 10.1007/s00442-011-2224-5. Dohm, C., Leal, I. R., Tabarelli, M., Meyer, S. T. & Wirth, R. 2011. Leaf-cutting ants proliferate in the Amazon: an expected response to forest edge? Journal of Tropical Ecology, 27: 645-649. Kost, C., Tremmel, M. & Wirth, R. 2011. Do Leaf Cutting Ants Cut Undetected? Testing the Effect of Ant-Induced Plant Defences on Foraging Decisions in Atta colombica. PLoS ONE 6(7): e22340. Schoenian, I., Spiteller, M., Ghaste, M., Wirth, R., Herz, H. & Spiteller, D. 2011. Chemical basis of the synergism and antagonism in microbial communities in the nests of leaf-cutting ants. Proceedings of the National Academy of Sciences doi:10.1073/pnas.1008441108. Leal, I. R., Wirth, R. & Tabarelli, M. 2011. Dispersão de sementes por formigas cortadeiras. In: DellaLucia, T. M. C. Formigas cortadeiras. Da bioecologia ao manejo, p. 236-248. 2011. Editora da Universidade de Viçosa, Viçosa. Meyer, S. T., Leal, I. R., Tabarelli, M. & Wirth, R. 2011. Ecosystem engineering by leaf-cutting ants: nests of Atta cephalotes drastically alter forest structure and microclimate. Ecological Entomology 36: 14-24. Falcão, P. F., Pinto, S. R. R., Wirth, R. & Leal, I. R. 2011. Edge-induced narrowing of dietary diversity in leaf-cutting ants. Bulletin of Entomological Research 101: 305-311. Bieber, A. G. D., Oliveira, M. A., Wirth, R., Tabarelli, M. & Leal, I. R. 2011. 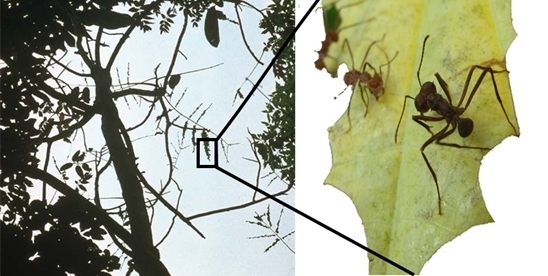 Do abandoned nests of leaf-cutting ants enhance plant recruitment in the Atlantic forest? Austral Ecology 36: 220-232. Meyer, S. T., Leal, I. R., Tabarelli, M. & Wirth, R. 2011. Performance and fate of tree seedlings on and around nests of the leaf-cutting ant Atta cephalotes: Ecological filters in a fragmented forest. Austral Ecology 36: 779–790. Corrêa, M., Silva, P., Wirth, R., Tabarelli, M. & Leal, I. 2010. How leaf-cutting ants impact forests: drastic nest effects on light environment and plant assemblages. Oecologia 162: 103–115. Wirth, R. 2009. Book review: The tropical mountain forest - patterns and processes in a biodiversity hotspot, S.R. Gradstein, J. Homeier, D. Gansert (Eds). Universitätsverlag Göttingen, Göttingen (2008). 217 pp. 38,00 €, ISBN: 978-3-940344-22-9. In: Basic and Applied Ecology 10: 684-685. Meyer, S. T., Leal, I.R., Wirth, R. 2009. Persisting hyper-abundance of keystone herbivores (Atta spp.) at the edge of an old Brazilian Atlantic Forest fragment. Biotropica 41: 711-716. Haeder S., Wirth R., Herz H., Spiteller, D. 2009. Candicidin-producing Streptomyces support leaf-cutting ants to protect their fungus garden against the pathogenic fungus Escovopsis. PNAS 106: 4742-4746. Silva, P.S.D., Bieber, A.G.D., Leal, I.R., Wirth R., Tabarelli, M. 2009. Decreasing abundance of leaf-cutting ants across a chronosequence of advancing Atlantic forest regeneration. 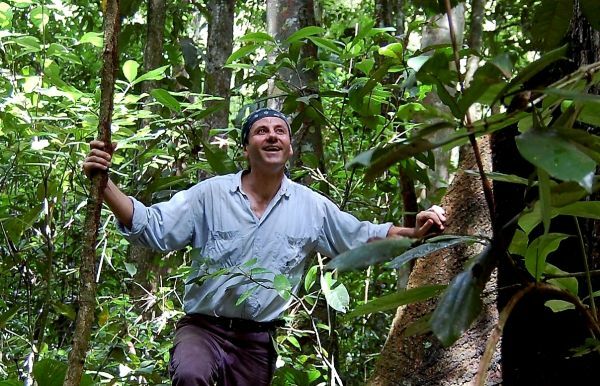 Journal of Tropical Ecology 25:1–5. Almeida, W. R., Wirth, R., Leal, I. R. 2008. Edge-mediated reduction of phorid parasitism on leaf-cutting ants in a Brazilian Atlantic forest. Entomologia Experimentalis et Applicata, 129: 251-257. Wirth, R., Meyer, S.T., Leal, I.R. and Tabarelli, M. 2008. Plant Herbivore Interactions at the Forest Edge. In: Lüttge, U., Beyschlag, W. and Murata, J. (eds). Progress in Botany 69: 423-448. Springer, Berlin Heidelberg. Silva, P. D., Leal, I.R., Wirth, R., Tabarelli, M. 2007. Harvesting of Protium heptaphyllum Aublet (March.) seeds (Burseraceae) by the leaf-cutting ant Atta sexdens L. promotes seed aggregation and seedling mortality". Revista Brasileira de Botânica 30: 553-560. Wirth, R., Meyer, S.T., Almeida, W.R., Araújo Jr, M.V., Barbosa, V.S., Leal, I.R. 2007. Increasing densities of leaf-cutting ants (Atta spp.) with proximity to the edge in a Brazilian Atlantic forest. Journal of Tropical Ecology 23: 501-505. Kost, Ch., Lakatos, T., Arendholz, W-R., Redenbach, M. & Wirth, R. 2007. Unspecific association between filamentous bacteria and fungus-growing ants. Naturwissenschaften, DOI 10.1007/s00114-007-0262-y. Urbas, P., Araújo Jr., M., Leal, I.R. Wirth, R. 2007. Cutting More from cut forests - edge effects on foraging and herbivory of leaf-cutting ants. Biotropica 39: 489-495. Leal, I. R., Wirth, R. & Tabarelli, M. 2007. Seed dispersal by ants in the semi-arid Caatinga of northeast Brazil. Annals of Botany 99: 885-894. Meyer, S., Roces, F., Wirth, R. 2006. Selecting the drought stressed: Effects of plant stress on intraspecific and within-plant herbivory patterns of the leaf-cutting ant Atta colombica. Functional Ecology 20:973-981. Leal, I.R, Fischer, E., Kost, Ch., Tabarelli, M., Wirth, R. 2006. Ant protection against herbivores and nectar thieves in Passiflora coccinea flowers. Ecoscience: 13: 431-438. Corrêa, M.M., Bieber, A.G.D, Wirth, R. & Leal, I.R. 2005 Occurrence of Atta cephalotes (L.) (Hymenoptera: Formicidae) in Alagoas, Northeastern Brazil. Neotropical Entomology, 34 : 695-698. Kost C., Gama de Oliveira E., Knoch T. & Wirth R. 2005. Temporal and spatial patterns, plasticity, and ontogeny of foraging trails in leaf-cutting ants. Journal of Tropical Ecology, 21: 677 – 688. Berger, J. & Wirth, R. 2004. Predation-mediated Mortality of Early Life Stages: A Field Experiment with Nymphs of an Herbivorous Stick Insect (Metriophasma diocles). Biotropica, 36 :424-428. Wirth, R., Weber, B. & Ryel, R. 2001. 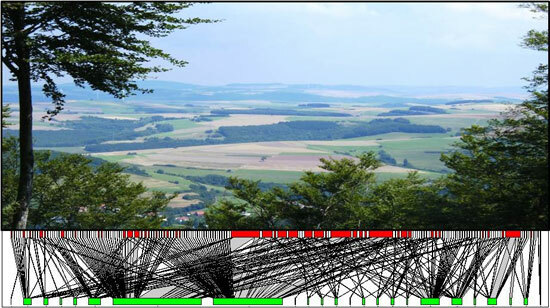 Spatial and temporal variability of canopy structure in a tropical moist forest. Acta Oecologia 22: 235-244. Wirth, R. & Leal, I. 2001. Rainfall affects temporal variability of ant protection in Passiflora coccinea. Ecoscience, 450-453. Wirth, R., Kost, C., Schmidt, S. 2001. Costs of trail construction and maintenance may affect the pattern of herbivory in leaf-cutting ants. In: G. Zotz, Ch. Körner (eds.) The functional importance of biodiversity. Verhandlungen der Gesellschaft für Ökologie 31: 315. Berger, J., Wirth, R. 2001. Physical antiherbivore defense does not determine preference of a specialist stick insect. In: G. Zotz, Ch. Körner (eds.) The functional importance of biodiversity. Verhandlungen der Gesellschaft für Ökologie 31: 311. Berger, J., Wirth, R. 2001. Diversity and diet breadth of stick insects (Phasmatodea) in a Panamanian semi-deciduous rainforest). In: G. Zotz, Ch. Körner (eds.) The functional importance of biodiversity. Verhandlungen der Gesellschaft für Ökologie 31: 338. Wirth, R., Kirsch, H. & Büdel, B. 2001. Verbreitungsmuster und Dynamik der Wiederausbreitung von Bartflechten der Gattungen Usnea und Bryoria im Spessart. Hoppea, Denkschr. Regensb. Bot. Ges, 62: 411-436. Wirth, R. 1999. Blattschneiderameisen und Pflanzen: Wer kontrolliert wen? Ausmaß und Muster der Herbivorie von Blattschneiderameisen. Pg. 203-215 in Beyschlag, W. & Steinlein, T. (eds.). Ökophysiologie pflanzlicher Interaktionen. Bielefelder Ökologische Beiträge 14: 203-215. Wirth, R., Weigelt, A., Herz, H., Hölldobler, B. & Beyschlag, W. 1998. Differential herbivory by leaf-cutting ants and consequences for light availability within tropical forest vegetation. In Dalitz, H., Haverkamp, M., Homeier, J. & Breckle, S.W. (eds.). GTÖ 98. Kurzbeiträge zur Tropenökologie. Bielefelder Ökologische Beiträge 12. Dalling, J. W. & Wirth, R. 1998. Dispersal of Miconia argentea seeds by the leaf-cutting ant Atta colombica. Journal of Tropical Ecology 14: 705-710. Herz, H., Wirth, R., Hölldobler, B. & Beyschlag, W. 1998. 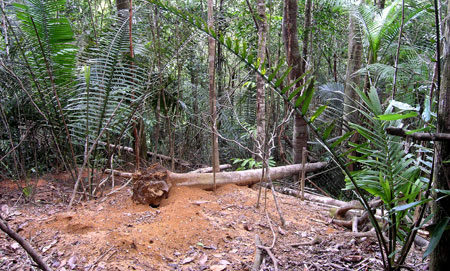 High rate of leaf-cutter ant colony movements in a tropical forest. In: Dalitz H, Haverkamp M, Homeier J, Breckle SW (eds.). GTÖ 98. Kurzbeiträge zur Tropenökologie. Bielefelder Ökologische Beiträge 12. Wirth, R., Beyschlag, W., Ryel, R. J. & Hölldobler, B. 1997. Annual foraging of the leaf-cutting ant Atta colombica in a semideciduous rain forest in Panama. Journal of Tropical Ecology 13: 741-757. Wirth, R., & Büdel B. 1994. Das Auftreten von Pycnidien bei fruchtenden und sterilen Formen von Usnea florida (L.) Hoff. (Lecanorales, Usneaceae). Nova Hedwigia 58: 13-20.